The Game Events will take care of the dialogues and progressing the quest, while the Game Variables are used to keep track of the quest’s progress. You can learn more about game variables in this how-to. Our epic quest will include two objects in our game – Blue Pants and his lost item. So we’ll need at least two game events as well. We can split down the events according to the different stages of the quest (e.g. the different dialogues when having accepted the quest, having found the item, etc. ), but it’s simpler to have less events and keep the quest’s logic (i.e. reacting on the different stages) in the event. Else we’d have to add multiple Event Interactions to our NPC with different variable conditions – which can get confusing. So, let’s start with adding our NPC to the game. We’ll add Blue Pants to the town scene, so open 1 Town (can be found in Assets/Tutorial Resources/Scenes/). The prefab for the NPC is named NPC_blue and can be found in Assets/Tutorial Resources/NPCs/. You can place him wherever you want, I’ve placed him in the grass beside the spawn point. Place On Ground uses a raycast to find the ground, so be sure to select a suiting layer mask (e.g. the Default layer). Now click on Create New Event in the event interaction’s inspector – this will open the ORK Framework editor, automatically navigate to the Events section and create a new game event. This game event will cover all of our dialogues with Blue Pants, so it’ll get a little bit more complex than the events we created until now. We’ll create a series of game variable checks to check for the quest’s current state and react on it accordingly. The variable checks will be in inverted order, so we’ll first check if the quest is finished, after that if the item has been found and finally if the player has already started the quest (i.e. searches for the item). To check the state, we use a string game variable named BP_Quest – the state is either search, found, finished or not set yet. This event will be a blocking event – only one blocking event can be executed at a time, and it’ll change the Game State for In Event to Yes. We’ll need two actors – Blue Pants and the player. Click on Add Actor to add the first one. Click on Add Actor to add our player. The 1st variable check step will check if the quest is finished, i.e. if BP_Quest is set to finished. Blue Pants thanks us again for finding the item. It’s connected to the finished check step’s Success slot. Set to: Thanks again for finding my #text.color2##text.boldUnderpants#<style#<color! The 2nd variable check step will check if the item has been found, i.e. if BP_Quest is set to found. It’s connected to the finished check step’s Failed slot. Blue Pants asks us if we’ve found the item. It’s connected to the found check step’s Success slot. Set to: Have you found my #text.color2##text.boldUnderpants#<style#<color yet? Click on Add Choice to add the 1st choice. It’s connected to the previous dialogue’s Choice 0 slot, i.e. when we said yes. Click on Add Item to add the item we’ll check for. Blue Pants thanks us for finding the item. It’s connected to the inventory check step’s Success slot. Here, take this … for your trouble. Update the quest’s state to finished. Connected to the inventory check step’s Failed slot. Set to: Hey, you don’t have them! The 3rd variable check step will check if the quest is started, i.e. if BP_Quest is set to search. It’s connected to the found check step’s Failed slot. Blue Pants tells us again where to find his item. Connected to the search check step’s Success slot. They should be somewhere on the road to town. Blue Pants asks us if we can search for his lost item. This is the start of the quest. It’s connected to the search check step’s Failed slot. I’ve lost something, could you help me find it? Blue Pants tells us where to find his item. Connected to the previous dialogue’s Choice 0 slot (when we accept the quest). I’ve lost my #text.color2##text.boldUnderpants#<style#<color … they should be somewhere on the road to town. Please, bring them to me, it’s getting a little bit chilly without them. Update the quest’s state to search. And that’s it for the event – click on Save Event and save it as bluePantsDialogue in Assets/Events/Quests/Blue Pants/. 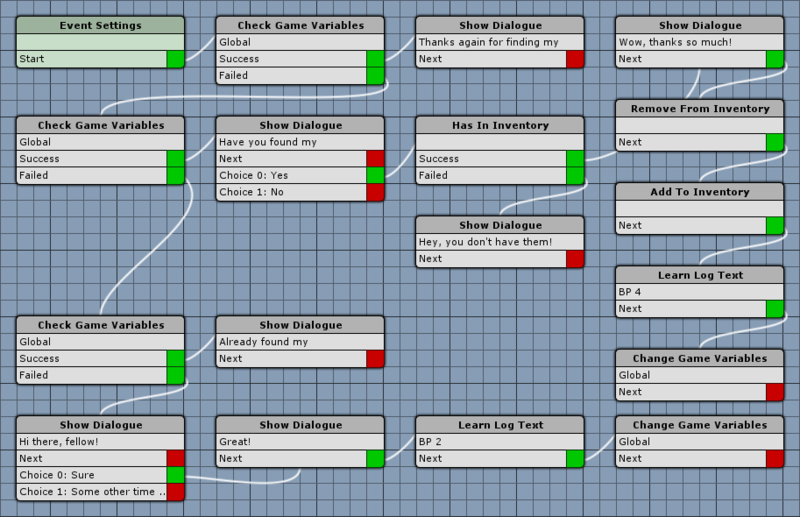 Close the ORK Framework editor – now it’s time to add the event to our NPC in the scene. Change the following settings in the inspector of the Event Interaction. Now, click on Ok to accept the new event. The inspector settings will now change to set up the event. And that’s it. Since we handle the variable checks in the event, we don’t need to do anything else. Open the field scene (2 Field, can be found in Assets/Tutorial Resources/Scenes/). We wont use an Item Collector to collect the item, because we want to do some additional things when collecting it. 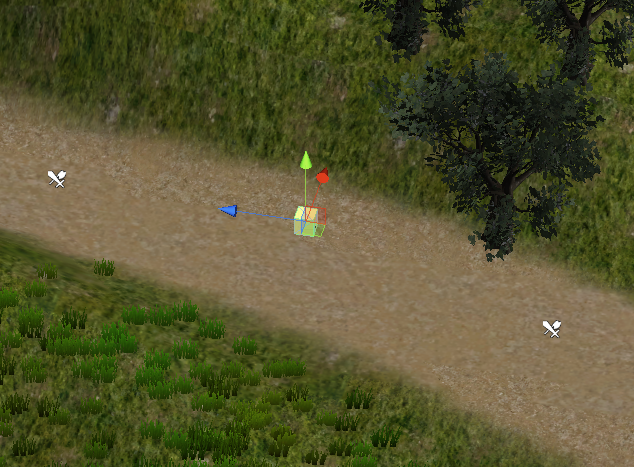 Add an ItemPrefab prefab (can be found in Assets/Tutorial Resources/Prefabs/Items/) between the first two battles. 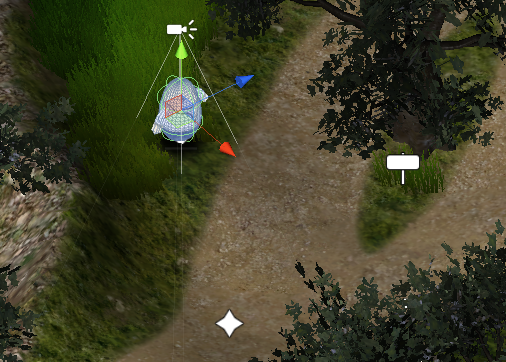 Again, add a Place On Ground component and an Event Interaction component. Click on Create New Event to bring up the ORK Framework editor. This game event will add the lost item to the player’s inventory, update the quest log and state and display a small dialogue. It’s a one time event and will only be available after we accepted the quest, so we’ll add a variable condition to the Event Interaction. This event will be also be a blocking event. We’ll need only one actor this time, the player. Click on Add Actor. Set to: Oh … some #text.color2##text.boldUnderpants#<style#<color. Update the quest’s state to found. And that’s it for the event – click on Save Event and save it as bluePantsItem in Assets/Events/Quests/Blue Pants/. Close the ORK Framework editor and change the following settings in the inspector of the Event Interaction. Click on Ok to accept the new event. The inspector settings will now change to set up the event. This will remove the game object after the event. Now comes the crucial part – setting up the variable condition to display this item only when we’re searching for it. 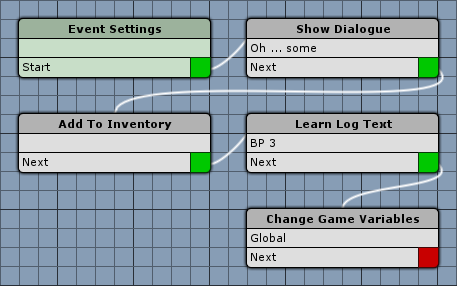 The event’s game object will automatically be destroyed when the variable conditions aren’t valid. And that’s it. Since we set the variable in the event, we don’t need to do anything else. Open the main menu scene (0 Main Menu) and hit play. 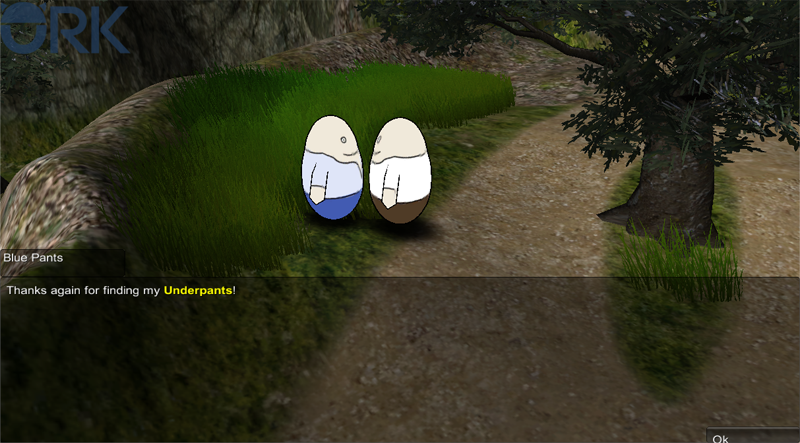 Talk to Blue Pants and accept the quest … as you progress through the quest, you’ll see that the quest log get’s updated, and the Underpants will be visible in your inventory after collecting it. This concludes our first little quest. And that’s it for now – the next lesson will cover saving the game.